For a long time the idea of an Ikea branch in Granada has been dead in the water, seemingly. However, it’s not flat lining yet, because there’s hope. Ikea at present has a distribution point in Albolote, which was set up in 2015, but there is no shop. When it was announced that this Swedish giant was planning to open a shop in Almeria in 2020, Granada lost hope but this news does not mean Granada has been leap-frogged – nope! 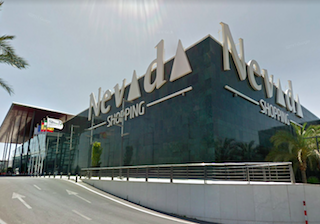 It seems that the Nevada shopping centre has been in talks with Ikea to explore the possibility of siting an Ikea branch within the centre in an area not yet developed and which had previously been earmarked for a large supermarket chain. The Pulianas project (Next to Kinéopolis) bit the dust owing to quibbling from the owners of the plot and urban-development hitches in the municipal offices (it is rumoured). Whatever the reason, the fact is that Pulianas is out of the picture. If we are to look at the Almería branch to see the benefits that an Ikea shop would bring,then we’re looking at 800 jobs and an investment of 65-million euros, which is not to be sniffed at. In fact, so optimistic is the Almería City Hall that they have launched a promotional campaign for flights to Almería Airport. So, everyboy except local small businesses on the coast, understandably, is looking forward to such an opening in Nevada, with their fingers firmly crossed. This entry was posted on Sunday, May 27th, 2018 at 2:42 pm	and is filed under Metropolitan. You can follow any responses to this entry through the RSS 2.0 feed.